Chemical Bonding & Polarity Unit tests were returned; students had an opportunity to use their notes to make corrections and resubmit for scoring...resubmitted scores will be averaged with the original scores. We then recapped the information from the History & Use of Chemical Symbols lesson that was assigned on EDpuzzle two nights ago...this led to a discussion of the group that is responsible for setting the naming conventions in chemistry (the International Union of Pure and Applied Chemists...IUPAC) and the recent naming of elements 113, 115, 117 & 118. Students were given their POGIL activity packet for this unit and assigned the first page to have completed for the beginning of class tomorrow (#1-3 to the first stop sign). I was unexpectedly absent today, so students began watching the video "Percy Julian: Forgotten Genius"...we will continue this video in the weeks to come. Students in the morning logged on to Quizlet in order to practice their Polyatomic Ion Formulas for Monday's Quiz and the Molecular Shapes that they are responsible for knowing. 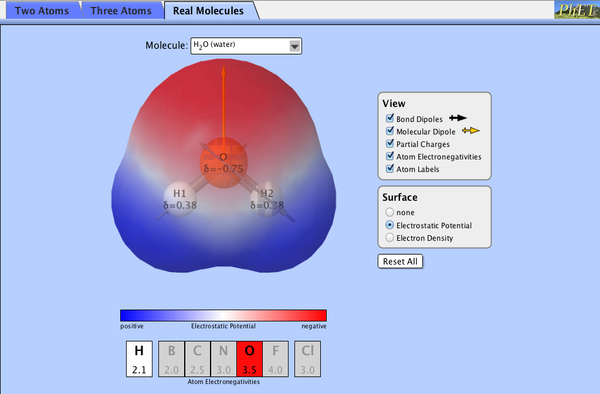 We continued working on the PhET Molecule Polarity simulation activity. School closed due to continued icy road conditions in the morning. Keystone testing schedule will be affected, so the Polyatomic Ion quiz will be moved to Monday 1/16. Keep studying those ions! We worked as a class to define polarity and identify ways that bond polarity is altered and illustrated using this simulation. Note: Due to our early dismissal, Pd. 8 did not cover this today; we will complete this work tomorrow. Polyatomic Ion Quiz #2 on sets 1 & 2...the -ites, -ates, hypo-, and per- polyatomic ions. Polyatomic Ion Quiz #1 was administered...we then introduced the ions from set #2 (the "-ite"s, di-/bi-, and hypo-/per- ions) and described ways of relating these formulas to the "baseline" -ate ions that we learned in set #1. We continued work on the POGIL activity and began defining some of the basic molecular geometries...linear, trigonal planar, tetrahedral, trigonal pyramidal and bent. After reviewing Polyatomic Ion formulas as a whole class exercise, we began the POGIL activity "Molecular Geometry". This activity begins to make the link between Lewis Diagrams and VSEPR (Valence Shell Electron Pair Repulsion) Theory/Molecular Shapes.